The current federal top marginal tax rate on long-term capital gains in the United States is a total of 23.8 percent (20 percent plus a 3.8 percent tax to fund the Affordable Care Act) for taxpayers with adjusted gross incomes of $200,000 ($250,000 married filing jointly) or more. In addition, states and some localities levy taxes on capital gains income, which range from zero percent in states with no individual income tax, such as Florida, Texas, South Dakota, and Wyoming, to 13.3 percent in California. An individual who has capital gains income is subject to both federal and state capital gains taxes. 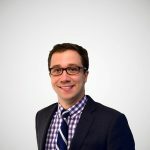 Taking into account the federal deductibility of state taxes and the phase-out of itemized deductions, the average top marginal capital gains tax rate faced by U.S. taxpayers is 28.6 percent. This is the 6th highest rate in the OECD. 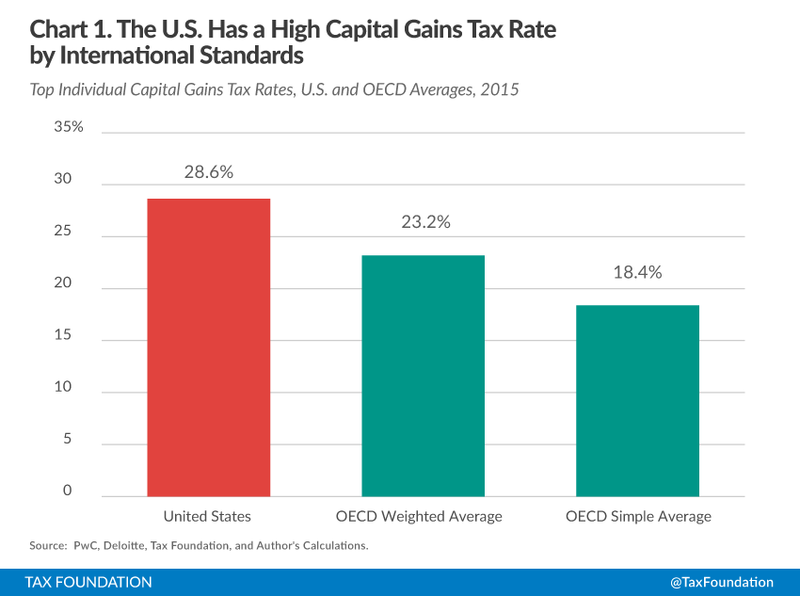 Taxpayers in most OECD countries face much lower capital gains tax rates than their counterparts in the United States. Only taxpayers in Denmark (42 percent), France (34.4 percent), Finland (33 percent), Ireland (33 percent), and Sweden (30 percent) face higher rates. The U.S. rate is about 10 percentage points higher than the OECD average (18.4 percent) and 5 percentage points higher than the weighted average (23.2 percent). Nine OECD countries full-exempt most capital gains income.